Up to 15 books may be borrowed at a time, for a period of three weeks. The library operates on an honour system. No late fees are charged. Please ask the librarian for any assistance. The Swanton Library is named after Rev Dr Robert Swanton who, after the organisation of the Theological Hall in 1975, was appointed Acting Principal until 1977 and Principal 1978-81. Coming out of retirement, Dr Swanton led the College for its first seven years. On his death in 1992 he left a generous legacy to the College to help fund the library and the work of the Reformed Theological Review which he helped to initiate. The Swanton Library has a collection of 32,000 items, with additional books constantly coming in through gift or purchase. Monetary donations are tax deductible, and the donation of theological books is always welcome. Books are catalogued using the Pettee classification scheme. The Library receives over 110 periodicals, and has an extensive collection of e-books and DVDs. 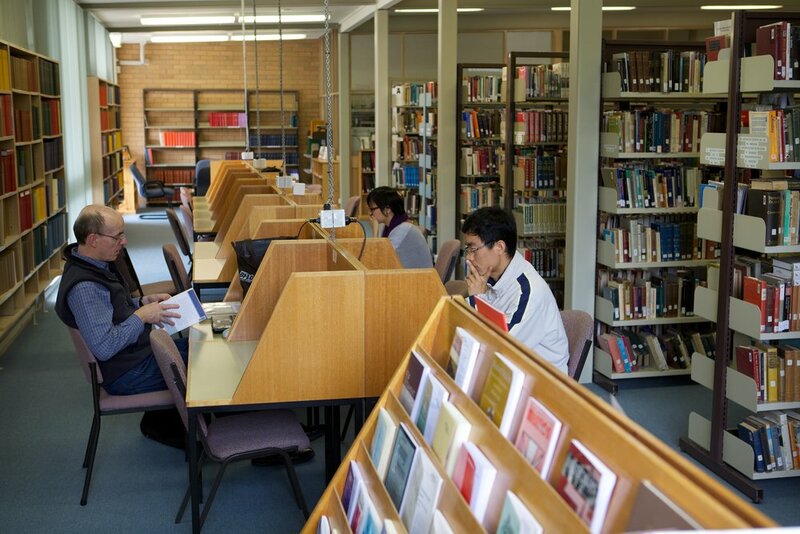 Students have right of access (though not borrowing rights) to all the theological libraries in Melbourne.